Can a perfect shoe get any better? Meet the iconic AF1, the Nike Air Force 1 07 Low Men's Shoe. This classic from 1982 delivers the sweetest ride in town. 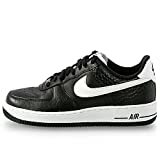 Paul Rodriguez's signature Nike Skateboarding shoes. Also known as the P-Rod. * This is a special Cinco De Mayo Edition. Only 500 hundred pairs were released! !